Sorry! We can't find a match! Please select only the city or resort at this stage - we will ask for your destination address later. Top Rated Company in Algarve. Since 2012 our company has been considered by Tripadvisor ( the largest travel website in the world ), as the best transfer company operating at Faro Airport. 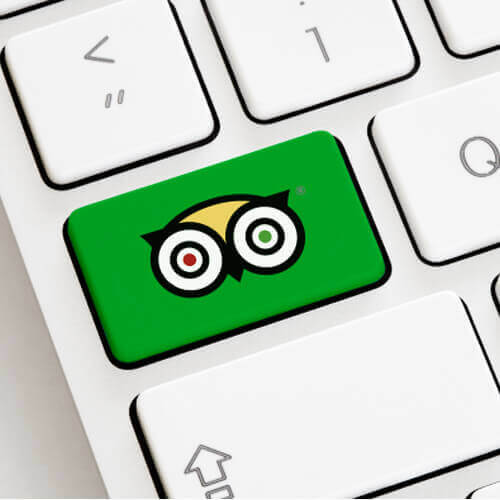 This recognition makes us very proud, and is only possible working every day to provide an exceptional customer service that you can trust any time you visit the Algarve. Faro Airport Transfers Algarve provides low cost and reliable transfer service without compromising quality. Our team of professional, polite and friendly drivers, are ready to help you on your journey. Our fleet consists of new vehicles equipped with air conditioning and wifi for greater comfort. All transfers are private, with no extra stops or unknown people on board. Faro Airport Private Transfers Take the hassle out of get to your destination. Upon arrival, your driver will be waiting for you at Faro Airport arrivals hall with a sign with your name, he will help you to carry your luggage and will transport you directly to your destination. 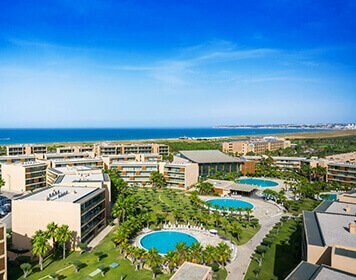 On departure, your driver will be waiting for you at your accommodation main lobby at a pre-agreed time, ready to transport you back to Faro Airport. The easiest way to get to your Golf Course. Portugal is known as one of the best Golf destinations in the world. We provide transfers between your accommodation and all golf courses in the Algarve. In our fleet we have vehicles capable to transport groups of any size. Taxi with wheelchair access ramp at Faro Airport. Thinking on people with reduced mobility, we are one of the few companies at Faro Airport with a vehicle with ramp access for wheelchair or electric scooter. 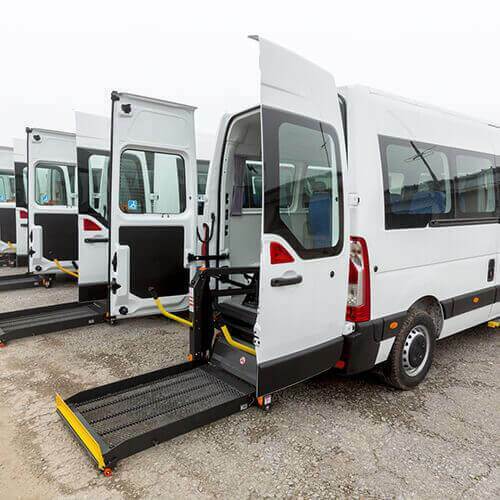 Our drivers have professional training to transport people with reduced mobility, they are especially aware of their responsibility. We will make sure your journey is safe, comfortable and stress free. We are available to arrange any transfers you may need. If you need to go to: a new hotel or resort, visit a friend, shopping, beach, visit a different city, golf course, train and bus stations, cruise port, tours, weddings, meetings or any other transfer we are here to help you. Albufeira as become the top destination holiday resort in the Algarve. The city is known as one of the most luxurious resorts in the Algarve. 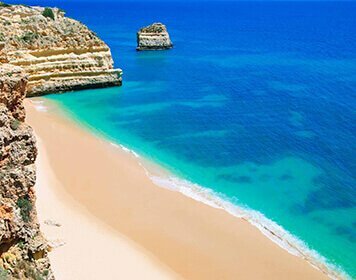 Located about 55km from Faro Airport, this fishing village is known for its beautiful beaches and caves. Lagos, is known for being a great place for diving, kayaking, boat parties & nightlife. Known for the luxury villas, here you will find some of the best golf courses in Portugal. Located side by side with Vale do Lobo, this is the most luxurious resort in the Algarve. Located in the eastern part of the Algarve, is an excellent resort if you want to relax. 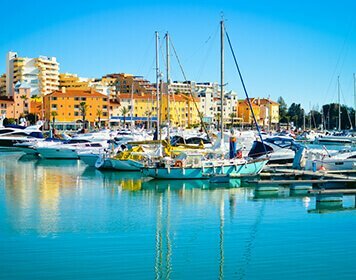 Portimão is one of the best places in the Algarve, here you will find restaurants, bars, nightclubs and shops. Located about 9km from Albufeira, this is a Luxury resort, with the best golf course. 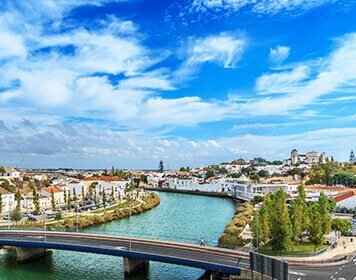 Our company is based in Faro and provides Private Transfers service to and from Faro Airport as well as Spain and other regions of Portugal. The company is licensed for public transportation, has quality vehicles and a friendly staff. 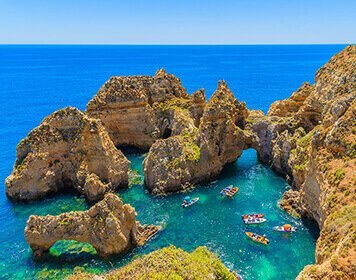 We also provide transfers from any destination in the Algarve, Portugal to all golf courses in the Algarve, and we provide transportation to all amusement parks. 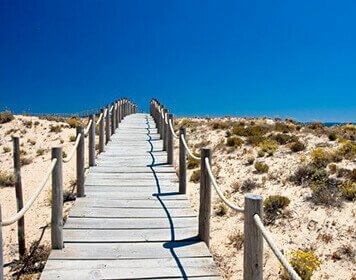 Our company is legally registered and authorised by the portuguese board of tourism with full comprehensive insurance cover with license nº RNAVT 4386 . Beware of unlicensed and uninsured transfer companies and individuals. They may be cheaper, but are they safer and insured? Remember your life is in their hands! Based at Faro Airport, our company was created in 2010. We are specialized in transport services in Portugal & Spain. 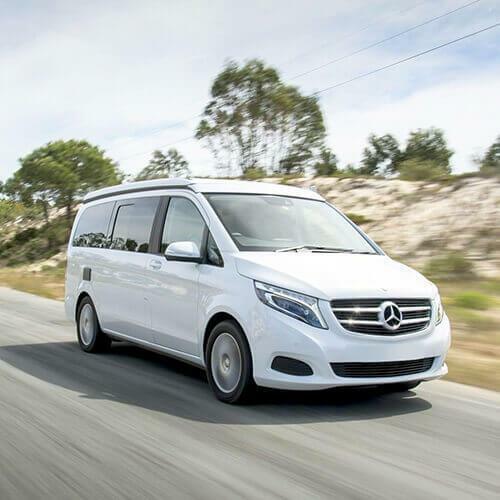 Our reliable and polite service includes, Cheap Faro Airport Transfers, transfer services to golf courses, train & bus stations, amusement parks, tailor-made transfers, wheelchair adapted transfers, private events such as meetings, conferences, sightseeing and private tours. Since 2018, it is also possible to rent adapted vehicles for people with reduced mobility. We are very proud to be one of the few companies providing this service in Portugal. Copyrights © 2010 FATA Transfers. All Right Reserved.